If you’ve not made a list of driveway ideas, relax. The driveway is often overlooked as a functional slab of concrete or asphalt tasked with transporting your car from the street to the garage. But first impressions count and the exterior of your home is what people initially notice when visiting. Curb appeal is important to consider when selling or renting out your home. Improvements will encourage prospective tenants or buyers to inquire about your property. Utilise professional tradespeople sourced via Builderscrack to assist with implementing your new ideas. Read on for some great tips on choosing the right material, planting flowers, edging your grass and installing lighting – they’re all surefire ways to boost your curb appeal. When choosing materials, it is likely that your budget will be the biggest consideration. 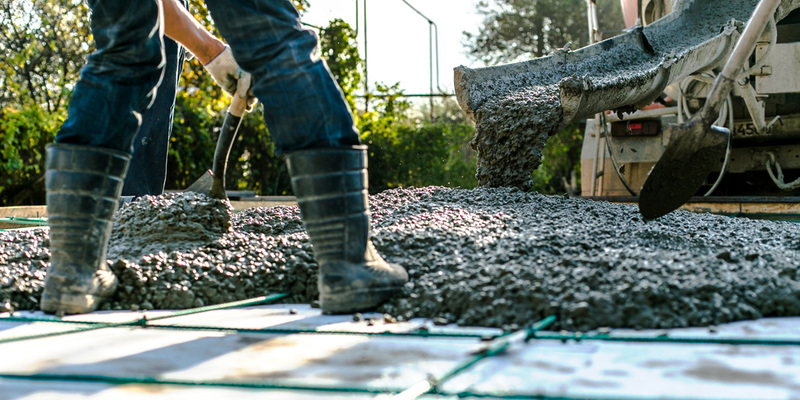 Concrete will most likely be your cheapest option, with brick being the most expensive. Concrete: The edges are less likely to breakdown or deteriorate. This makes your driveway able to withstand having vehicles parked on it for long periods of time. Being a solid stone-like material it will retain these characteristics during hot weather. Asphalt: There are some pretty cool things that professionals can do with asphalt. This is because it can be coloured and even stamped into patterns, achieving the look of bricks or other fancy design. Bricks: Choose a mix of three different coloured bricks using a traditional mosaic pattern or design something entirely your own. Professionally laid brickwork will bring any home to life! Stone: Truly elegant driveways highlight the natural tones and nuances of stone. Call your local quarry or stone dealer to get an idea of what is available. Plants: Planting flowers along the edges will add beauty. Another great idea is adding flower beds at the top and bottom of your driveway. Then you can get creative by mixing different types of flowers for layers of colour in a single bed. Berms: A berm is the space between the driveway and the lawn. Here you should plant flowers and trees or lay stones or bricks. The curved nature of a berm works to break up the straight lines of the driveway and draws your visitor’s attention. By creating a berm in a unique pattern you can add more appeal to your overall landscape. Hire a landscape architect via Builderscrack to advise on the best plants and materials to use in your berm. Edges: Make sure the edges of the driveway look clean for guests. Line the driveway with shrubs or hedges for an informal fence or for a more elegant solution, install bricks between the driveway and lawn. Edging the grass to prevent it from growing over the driveway is a great way to boost appeal. Lights: Placing lighting along your driveway will not only brighten it up, but will also help with security. For a more traditional look, consider rigging lanterns from trees that line your driveway. If you don’t have trees lining your driveway to hang lights off, then stake solar lights into the ground. Use Builderscrack to find a qualified electrician because they can advise on the best lighting options and install them safely. An attractive driveway is important! Having a welcoming driveway increases your curb appeal. Follow a few of these ideas and your driveway can go from ordinary to spectacular in a weekend! 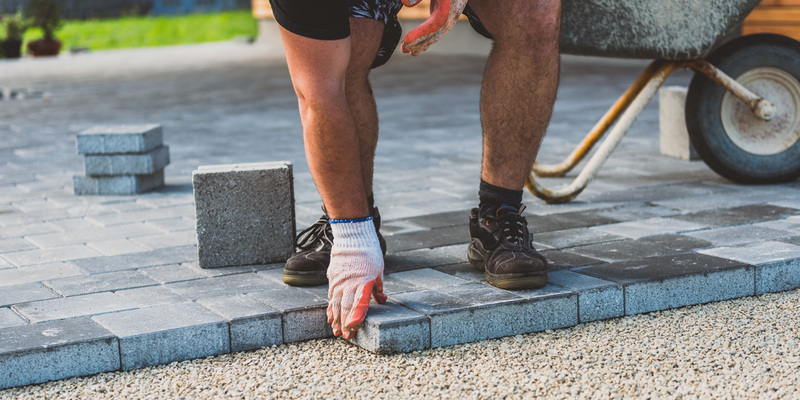 Remember that how well your driveway looks and performs over time is related to the quality of materials and workmanship so post a job on Builderscrack and get professional advice and tradespeople to bring your driveway ideas to life! Paving Contractors – What do they do? Concrete Layers – what do they do?